Some of the key players operating in the global sodium borohydride market are Kemira, Vertellus Specialty Materials, Zhangjiagang City Jinyuan Biochemical Co., Ltd., Montgomery Chemicals, Nantong Hongzhi Chemical Co., Ltd., Shandong Guobang Pharmaceutical Co., Ltd., Shaanxi Hanjiang Pharmaceutical Group Co., Ltd, Ltd., Anhui Jin'ao Chemical Co., Ltd., and Jiangsu Huachang Chemical Co. Currently, the global market is being led by Kemira, which has made the competitive landscape quite consolidated. The report comprises profiles of major companies operating in the global sodium borohydride market. 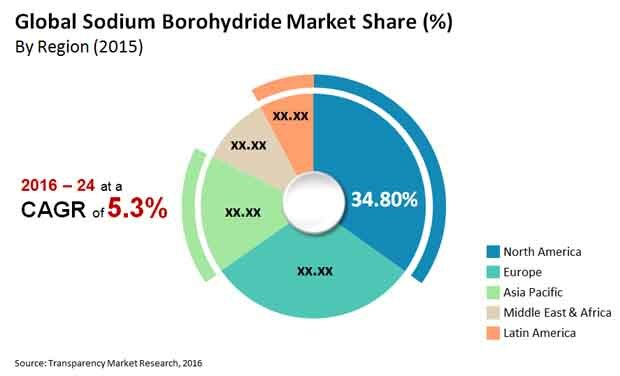 Key players in the sodium borohydride market are Kemira, Vertellus Specialty Materials, Montgomery Chemicals, Zhangjiagang City Jinyuan Biochemical Co., Ltd., Nantong Hongzhi Chemical Co., Ltd., Shaanxi Hanjiang Pharmaceutical Group Co., Ltd, Shandong Guobang Pharmaceutical Co., Ltd., Jiangsu Huachang Chemical Co., Ltd., and Anhui Jin'ao Chemical Co., Ltd. Market players have been profiled in terms of attributes such as company overview, financial overview, business strategies, and recent developments.